PHOENIX – The possibility exists that the next Giants quarterback won’t come from this year’s draft, but last year’s. If the Cardinals decide to use the first overall pick on Kyler Murray, as many surmise they will, it would make second-year quarterback Josh Rosen expendable to them. And enticing to any team looking to add a player at that position. While first-year Cardinals coach Kliff Kingsbury tried to clear up what he called “misconceptions” about Rosen and his ability to play in his offensive system, his praise for Murray overshadowed that. Kingsbury insisted that the Cardinals have not yet made any decisions about their use of the first overall pick. And they probably would not want to trade Rosen unless and until they officially use the pick to take Murray. Which means that if another team is going to acquire Rosen, it probably won’t happen until after the first round of the 2019 draft has begun. 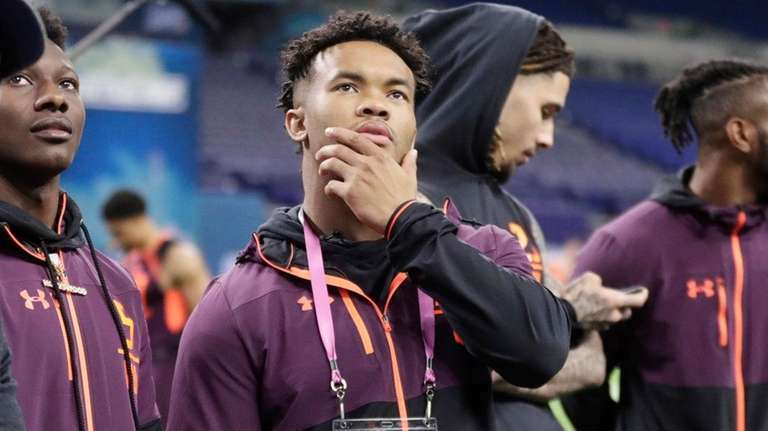 If that happens, the Giants could very well use some of the draft capital they have (12 picks, three in the first two rounds) to make such a move and add a young quarterback that they passed on a year ago.